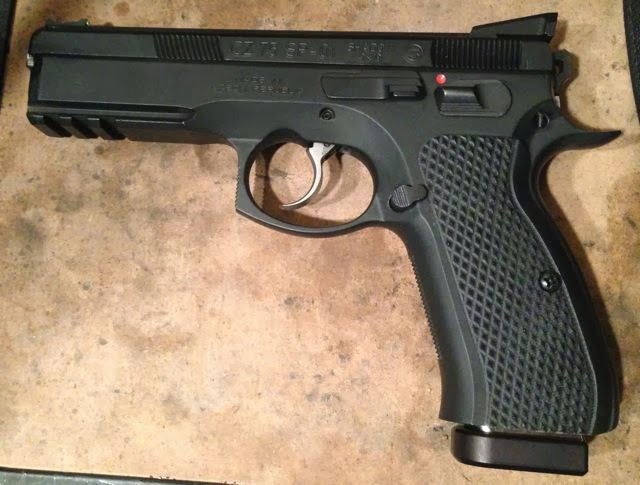 One of the things I like so much about the CZ platform is that there are a lot of options out there for making the guns feel "right" in a shooters hands. Even swapping simple parts like basepads can make a huge difference in feel while reloading. The new heater, built by Matt Mink! 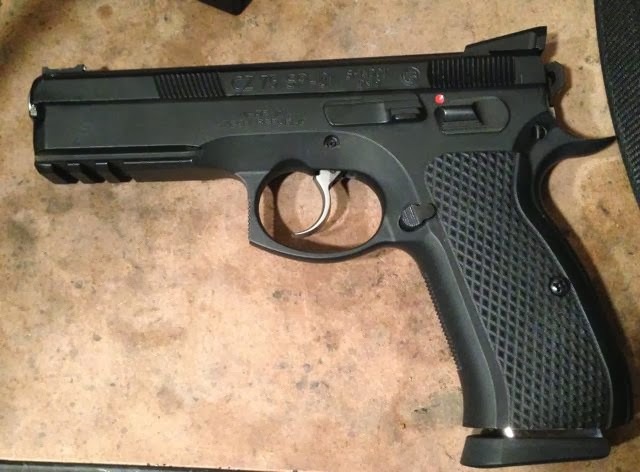 I originally ordered some CZ magazines with the rubber feet from Matt Mink since the feature was one of the things I liked most about my Beretta. To my dismay, the rubber feet seem to stick out a bit too much on the CZ 17 round new mags. 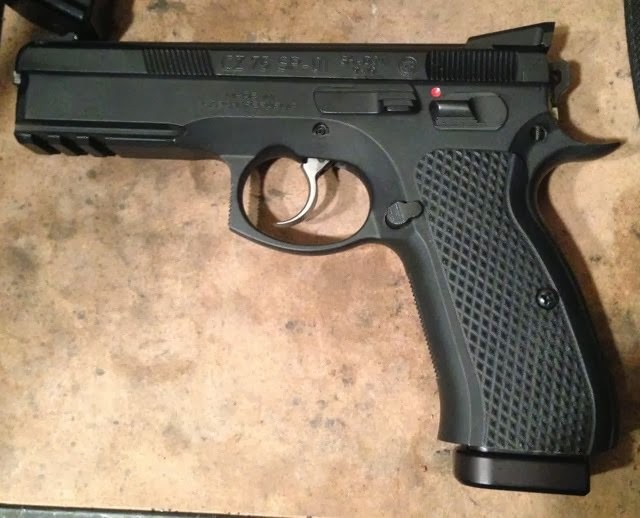 They'll work rather nice for indoor "padded concrete floor" practice, but for matches, I wanted something just a touch bigger, without the "toe" of the CZ rubber pads. The MecGar 17 round base pad isn't bad, and sits flush but seems a touch "thin" and doesn't offer quite enough to hold on to. 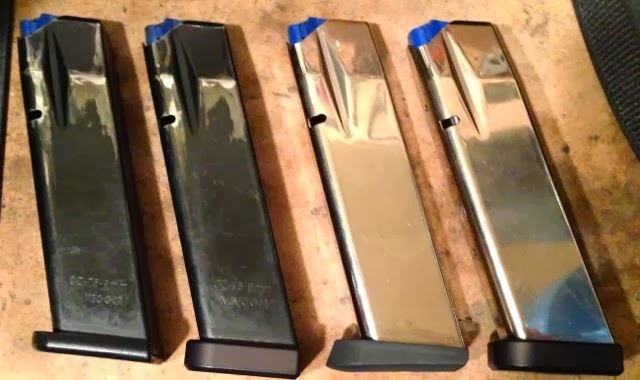 Interestingly, though, the 17 round MecGar magazines are a bit shorter than the 17 round CZ magazines, one of the reasons contributing to the flush fit. Additionally, the MegGar magazine locking plate features an actual "button" or "peg" rather than just a raised metal cutout, which seems to supply a tighter, more positive lock. 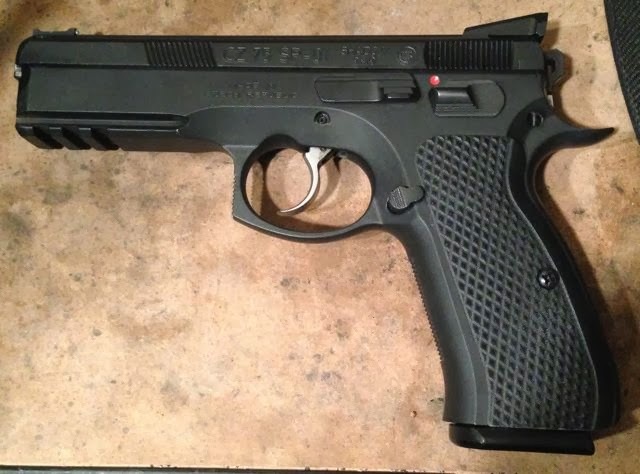 Ben Stoeger recently redesigned his excellent Tanfoglio easy fit aluminum basepad for the CZ. I ordered a set and gave 'em a try on the various magazines. 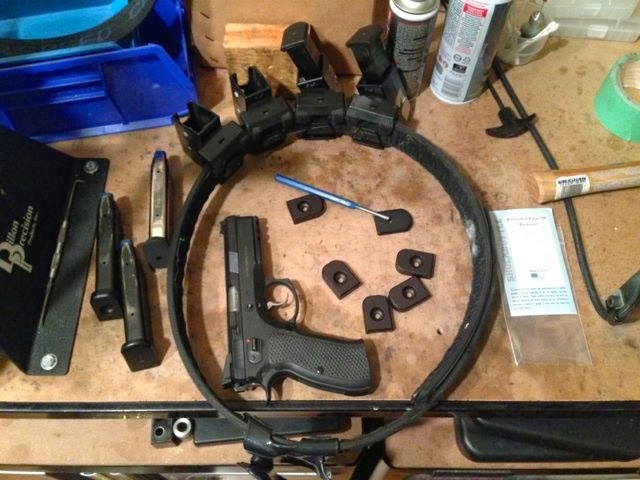 The best fit came when coupled with the MegGar magazines - they sit nearly flush, feature a VERY positive lock with the locking plate due to the "peg" and offer a great grip.